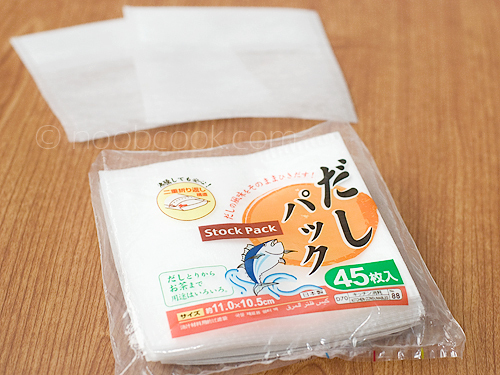 These disposable soup stock pouches are quite handy to have in the kitchen, especially for making soups and stews. If there are small pieces of ingredients which you used in the cooking for flavour but you do not wish to have them in the final dish, you can place these ingredients in a soup bag. After cooking, you can discard the entire bag. It saves me a bit of time. I bought the packet (as shown in the photo) at Daiso Singapore (for S$2), but you can also get them at provision shops. To use, place ingredients in a stock stock bag, secure by turning the top flap inside out to prevent spillage. After cooking, discard the entire bag. They’re great, aren’t they? 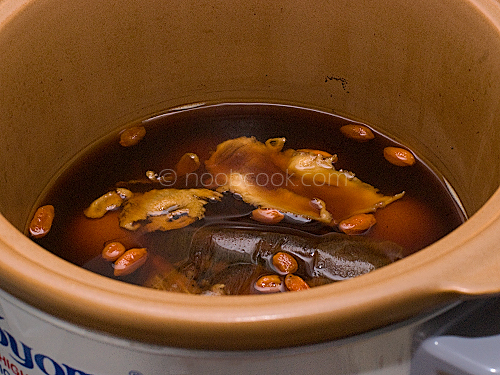 We put ikan bilis in them to make a stock for our Won Ton soup. It makes for a very clear stock. FANTASTIC! I was just wondering where in the world you got them from! Thanks wiffy! The daiso outlets I frequent are Tamp 1, Ion & Plaza Sing. I do see it quite frequently. Maybe you can look out whenever you pass by an outlet. These are a great idea. I have empty tea bag pouches. Can I use those instead or will they disintegrate in during prolonged boiling. 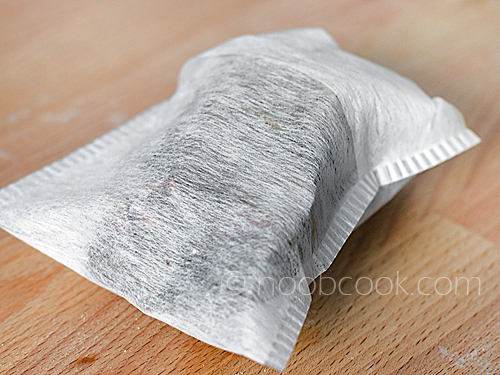 I have used disposable tea pouches (same material as the bigger soup pouches) for soup too.